Two violations were discovered following the MENCS. Crew chiefs for Brad Keselowski and Kevin Harvick have each been fined for lug nut violations. Read the full NASCAR Cup Series penalty report from Martinsville below. NASCAR officials penalized two Monster Energy NASCAR Cup Series teams Wednesday for lug-nut violations following Sunday’s race at Martinsville Speedway. The No. 2 Team Penske Ford driven by Brad Keselowski and the No. 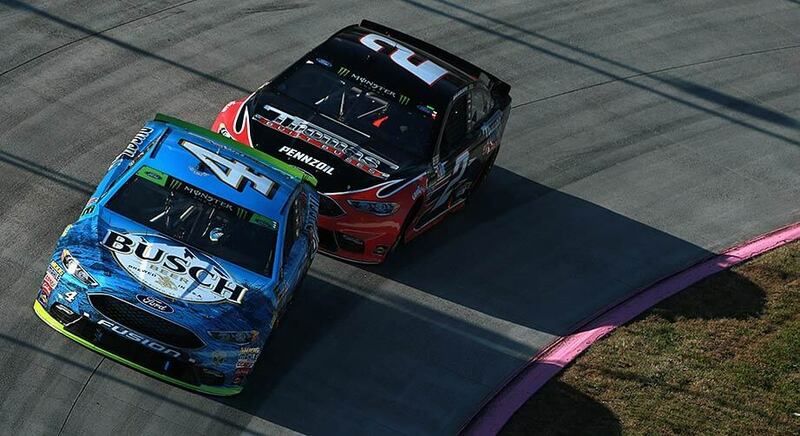 4 Stewart-Haas Racing Ford of Kevin Harvick were both found with one lug nut not safely secured in a post-race check. Keselowski’s crew chief Paul Wolfe and Harvick crew chief Rodney Childers each were fined $10,000 for the safety infraction. The violation falls under Section 10.9.10.4 of the 2018 NASCAR Rule Book. Keselowski led 41 laps and finished fifth in Sunday’s First Data 500. Harvick, one of eight drivers who remain championship-eligible in the NASCAR Playoffs, finished 10th.